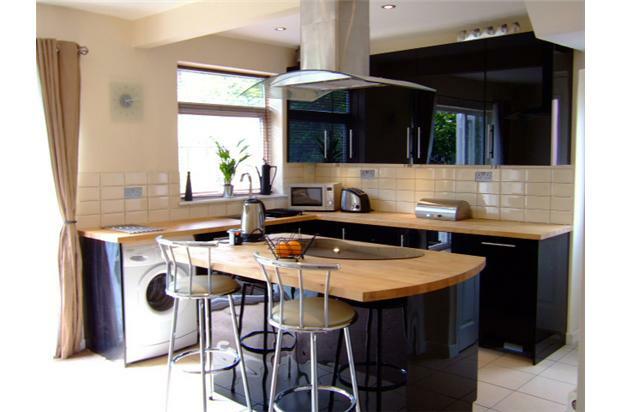 Three bed semi in quiet cul de sac, refurbished in 2009 to high standard with modern fixtures and fittings. 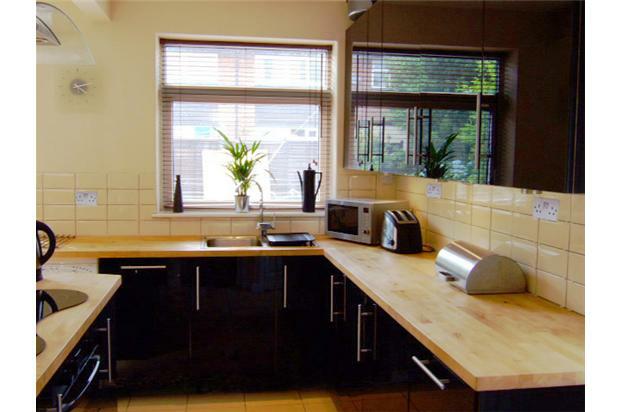 High gloss black kitchen units with island with breakfast stools and ceramic hob. Integrated appliances, under unit lighting. Open plan living and dining, with freestanding chimney breast with dimmer lighting behind. Patio doors onto garden with railway sleepers, patio area and lovely plants. Three bedrooms, two of which are double and one single. Rear double bedroom with mirrored sliderobes fitted along one wall with excellent storage. 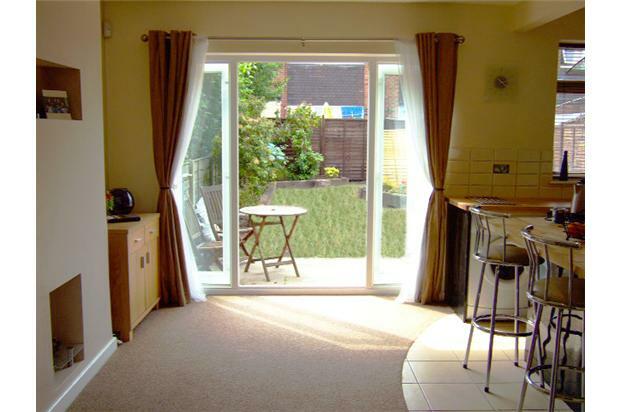 Front double bedroom is large and has plenty of room for freestanding wardrobe if required. Single bedroom good for use as bedroom or computer room. All windows have fitted wooden venetian blinds. Bathroom has corner bath, semi ped, and separate shower cubicle with concealed shower unit. Large Illuminated mirror, heated towel rail. Off road parking with gravel driveway and front lawn. Wonderful neighbourhood, with most residents living there in excess of 30 years. Very family friendly. 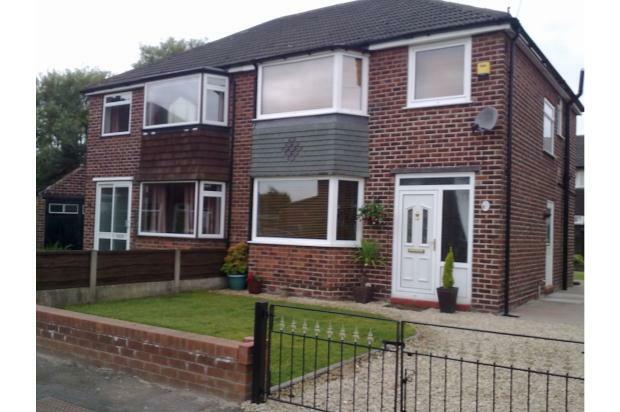 Schools close by, good transport links with M6, M62, M60 on doorstep. Only couple of miles from Trafford Centre, and City centre but far enough out to be quiet. No DSS. No smoking, pets negotiable. AVAILABLE END OF NOVEMBER.